in the recently merged JCDecaux and APN Outdoor business. Newton was previously national sales manager at JCDecaux and in his new role, Newton will lead the expanded JCDecaux agency and direct sales teams. However, the new national sales GM role, will be substantially larger, considering the size of APN Outdoor's sales forces compared to JCDecaux's. The role will also see Newton responsible for overseeing client relationships, agency sales and trading, throughout the key Sydney, Melbourne, Brisbane, Adelaide and Perth markets. Newton has more than 12 years experience in sales and joined JCDecaux in 2006 as business development manager and has since worked in various sales management roles for the company. “This is an exciting period for JCDecaux Australia as we bring our combined JCDecaux and APN Outdoor offer to the market," Newton said. He will report to Eburne, who was named earlier this month as JCDecaux’s Chief Commercial Officer, focusing on all advertiser and agency revenue. 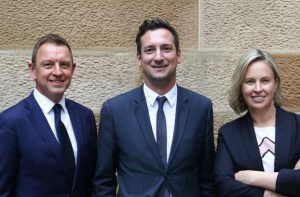 Eburne is part of the new leadership team for the combined JCDecaux and APN Outdoor businesses, which includes CEO Steve O'Connor, former APN COO Andrew Hines, CFO Brendan O'Neil and CMO Essie Wake. 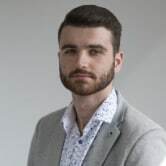 “Olly is a passionate and dedicated sales leader within the JCDecaux business and has a rare talent for identifying exactly what advertisers and agencies want,” Eburne said. "He has a proven capability in building strong, progressive and service-oriented sales teams that will help us realise the amazing opportunity that lies ahead of us." A major addition to the new team, Newton is not the final appointment to be made, with more executive announcements to be made over the coming months. JCDecaux chief commercial officer Max Eburne has appointed Oliver Newton as general manager – sales for the out-of-home business in Australia. Newton is one of the final major appointments to the executive leadership team in the recently merged JCDecaux and APN Outdoor business.